The “Somerset” bike by Kaiser Chang has an oval-shaped tube frame that acts as a slide rail, adapting the front fork to slide down to transform to a hand cart for quick transporting needs. This design’s circular steel structure and semi-arc frame gives “Somerset” a fresh form to city riding. The problem most riders are facing are transportation needs between the home and the mass transit system followed by the tail end of a commute to their job. Kaiser Chang’s design targets a market of foldable bicycles that can co-exist with transit and bus stations. 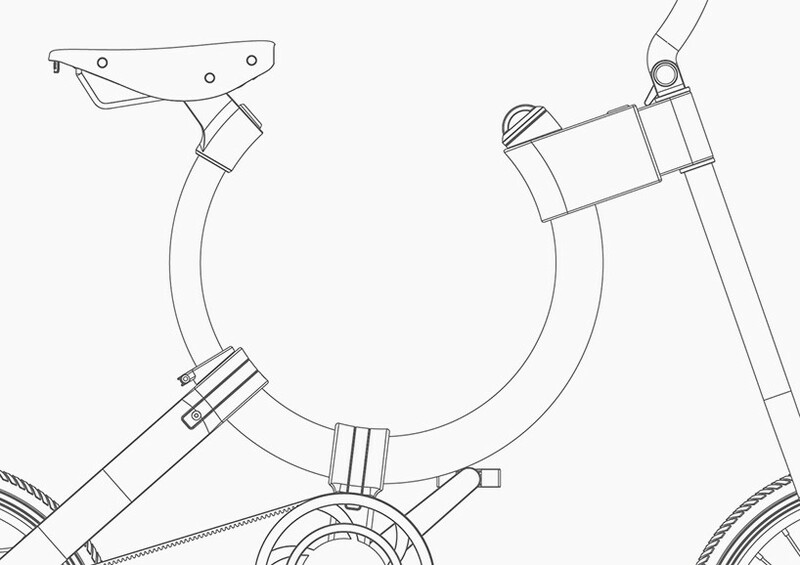 Since the folding process of the bike is convenient, the whole system can be easily changed into an electric folding bike, for added flexibility. And be sure to check more great bikes: 10 Folding Electric Mini Bikes.